What could be better during winter’s cold days and nights than to catch up with friends and family while enjoying a hot chocolate or socialising over a fondue made with chocolate buds for melting in a warmed ceramic fondue kit. Fondue parties were a popular feature of the mid-1970s home entertainment scene and have now come back into fashion, with a modern twist, to be enjoyed by a new generation who are discovering the joys of the fondue. Easy to prepare, fondues are the perfect solution for a quick and impressive bite to eat, when friends drop by after work. 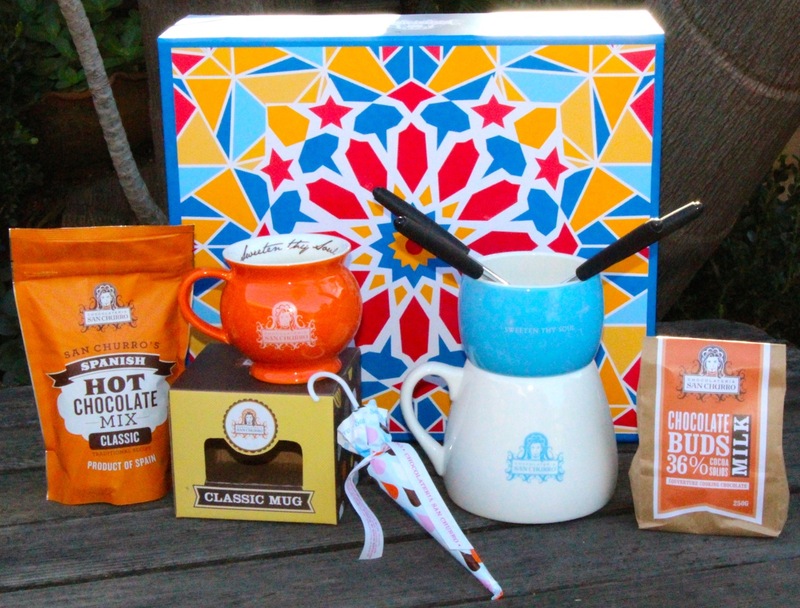 San Churro’s own range of Spanish Hot Chocolate Mix, complete with instructions printed on the back, makes a perfect drink at home, every time. Nothing beats wrapping cold hands around a mug of steaming hot chocolate, hence the reason for the rounded shape of their range of colourful mugs. I found my supplies at Harbourside, Darling Harbour where everything chocolate, that’s guaranteed to satisfy those winter cravings, can be found at Chocolateria San Churro. Over the last few years, increasing numbers of whales have decided to take a detour into Sydney Harbour during their annual migration up and down the east coast of Australia. 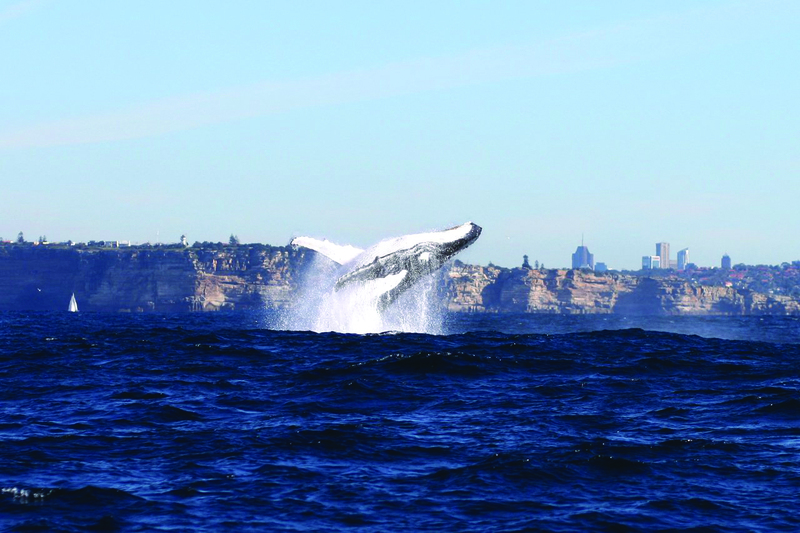 The 2014 Whale Watching season that commenced on 17 May is no exception to previous years. Whales making their way north to the warmer waters for their breeding season, have been entering Sydney Harbour and sighted close to Manly, to the joy of everyone lucky enough to witness the spectacle. For all those who want to get up close to the whales as they continue their journey up the coast, the best way is to take a whale watching cruise. These cruises provide an opportunity to experience the thrill of seeing these elegant creatures blowing a spout of water as they come to the surface and then dive back under the water. I recently decided to become a tourist in my own city and headed down to Sydney’s Circular Quay where I joined Captain Cook Cruises’ afternoon whale watching cruise that departed at 1.30 pm. I was told all their whale watching cruises come with a whale guarantee and that if a whale was not spotted, all passengers would be offered the opportunity to cruise again for free. I knew I could not go wrong with a guarantee like that. Once on board, I headed up to the open top deck of the large modern ocean-going catamaran to find a seat. After leaving Circular Quay and passing the Opera House, we headed for Taronga Zoo, where we picked up more passengers as well as our informative guide Mel, who also worked at the zoo as a marine expert. The catamaran then sailed out of Sydney Harbour and through the heads to open waters, where we were all eager to catch a glimpse of our first whale in its natural environment. As we looked, Mel’s commentary taught us just about everything there was to know about the whales, which we were soon to see. There was great excitement when the first whale spout was seen, with everyone having their cameras ready when it appeared out of the water, before diving back under again, providing a magnificent view of its large tail. This first sighting was quickly followed by a pair of whales swimming side by side, staying in view for quite a while, as our boat followed their progress up the coast. Most whales are found within 2kms of the shore. 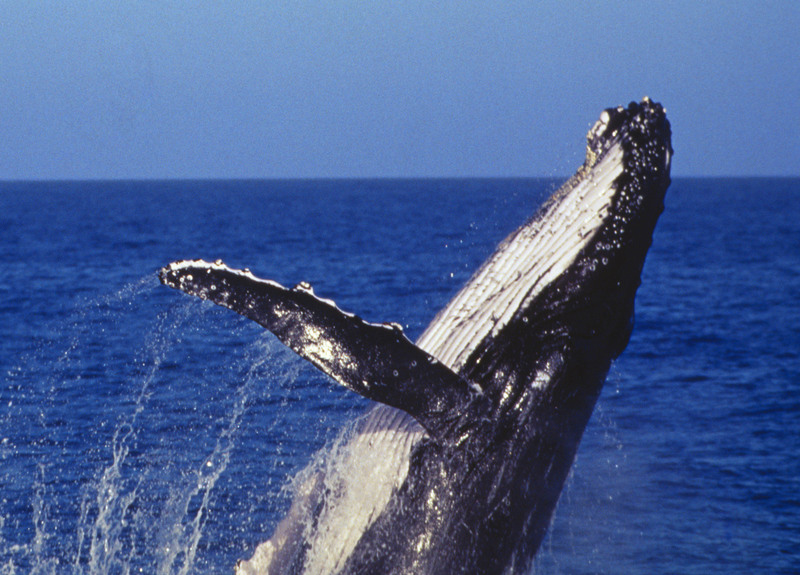 The majority of whales seen along the New South Wales coast are Humpback and Southern Right Whales, with the occasional sighting of Killer and Minke whales. Matthew Flinders, credited for naming the continent “Australia”, was the first European to set foot on Queensland’s Sunshine Coast, when his crew disembarked from the “Norfolk” on 19 July 1799. 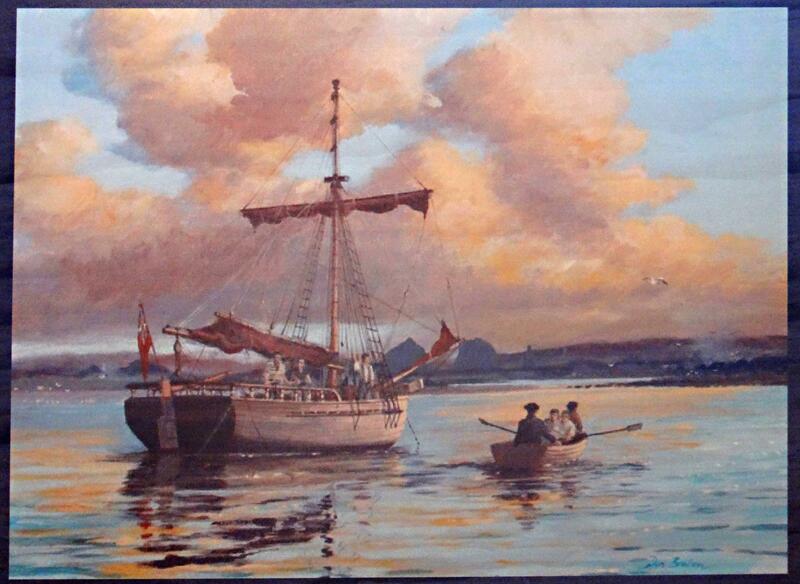 During the voyage in the “Norfolk”, Flinders and his crew sailed up the east coast and arrived at Bribie Island. From there he sailed up the Pumicestone River (now ‘Passage’) and into Glass Mountain Creek before landing and setting off on foot with an aim to climb Mount Tibrogargan. Arriving near the base on 26 July 1799 and setting up camp, Flinders discovered how steep the mountain was to climb and opted for an easier climb of Mt Beerburrum. Flinders was accompanied on the voyage by two seamen and ‘King’ Bongaree, the Aboriginal chief of the Broken Bay Tribe in Sydney, who played a key role in ensuring that the explorers’ encounters with local indigenous tribes remained peaceful and harmonious. Flinders’ records reveal that he found the indigenous inhabitants to be friendly and described their achievements with respect and admiration. The Glass House Mountains were named by Captain James Cook in 1770, during an expedition in “Endeavour”, because they resembled glass houses in his native Yorkshire. They are a series of spectacular volcanic plugs that rise dramatically from the coastal plain. Following Flinders’ visit, the Glass House Mountains became a popular area for convicts and criminals to escape to. It was not until the end of the 19th century that Europeans began to settle the area more permanently and establish farms. 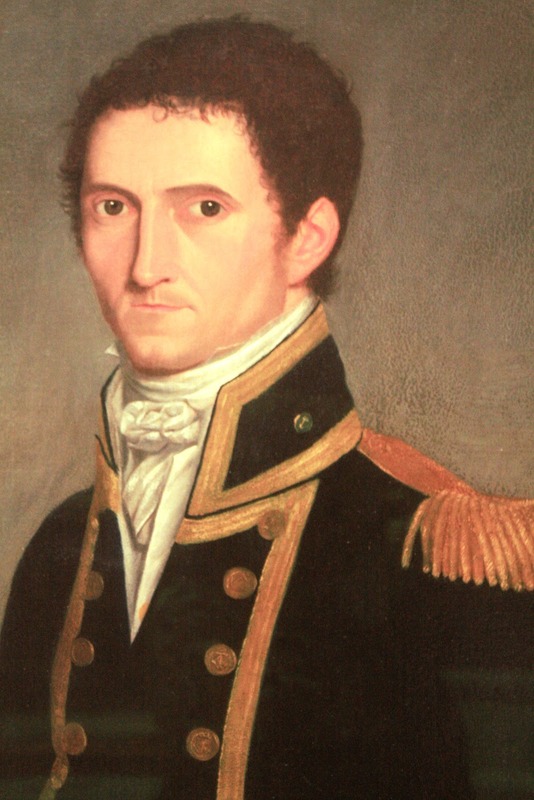 215 years after Matthew Flinders came ashore on the Sunshine Coast and led an expedition to the Glass House Mountains, his visit will be commemorated, along with the involvement of King Bongaree, George Bass and Trim, Flinders’ illustrious cat, by a permanent display at the Glass House Mountains Visitor and Interpretive Centre, which will open to the public from 19 July 2014. Funding for this project has been provided by the Regional Arts and Development Fund, which is a Sunshine Coast Council and Queensland Government partnership to support local arts and culture. Visitors to the area can now salute Matthew Flinders’ pioneering spirit, or run in his footsteps. To celebrate Flinders’ ascent of Mr Beerburrum, the “Flinders’ Tour” will be held on Sunday 27 July, the day after Flinders made the climb. This event will have 50km, 25km and 10km running circuits available for both serious and fun runners, all running in Flinders’ footsteps. Brundibár by Hans Krása, with a libretto by Adolf Hoffmeister, was composed in 1938 as a submission for a children’s opera competition. Krása was arrested and transported to Terezin Ghetto before he ever heard the performance, which premiered in Nazi occupied Prague. 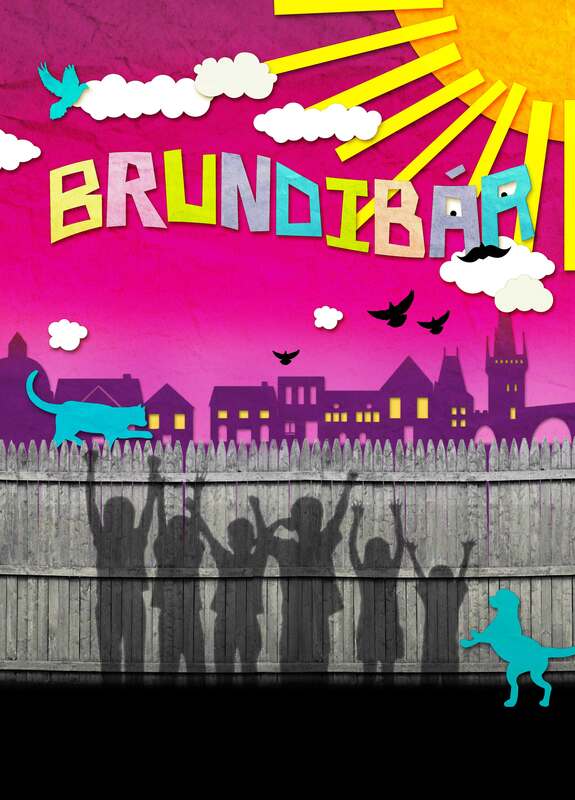 The score for Brundibár was smuggled into the ghetto and performed 55 times by the inmates, for the inmates. Telling the story of a brother and sister who overcome a local town bully in order to help their ill mother, Brundibár was the most popular cultural activity and powerful symbol of hope when performed by the Jewish people imprisoned in Terezín Ghetto. Academic and musician Dr Joseph Toltz, for the past 17 years, has been researching the music of Terezín and Brundibár’s place in the memory of Holocaust survivors. Rediscovered in the 1970s, the opera has been performed around the world as a way to connect today’s younger generations with survivors of the Holocaust and to strengthen the world’s watch against oppression and discrimination. The Sydney Brundibár Project is a collaboration between Dr Toltz and chamber opera company Opera Prometheus, in association with the Sydney Jewish Museum. Due to popular demand, six new shows have been added to the Sydney season of Bangarra Dance Theatre’scurrent production, Patyegarang, which opened to great acclaim at the Sydney Opera House recently. The season has now been extended to 12 July 2014. 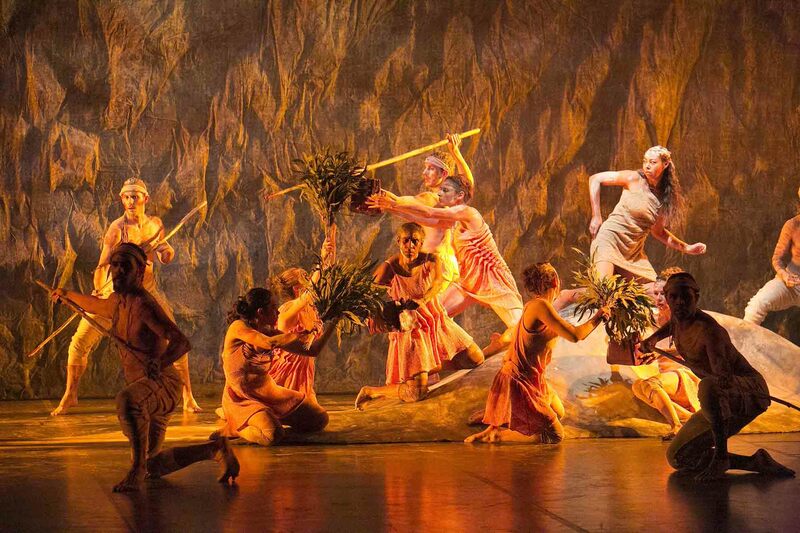 Bangarra’s Artistic Director Stephen Page says, “Patyegarang is one of the few good stories that happened during Australia’s first settlements, one that we should embrace and be proud of. As a company we are pleased to see the reaction from the audience every night and look forward to sharing our storytelling through contemporary dance with many more audiences”. Following the Sydney season Patyegarang will be presented in Canberra, Perth, Brisbane and Melbourne. 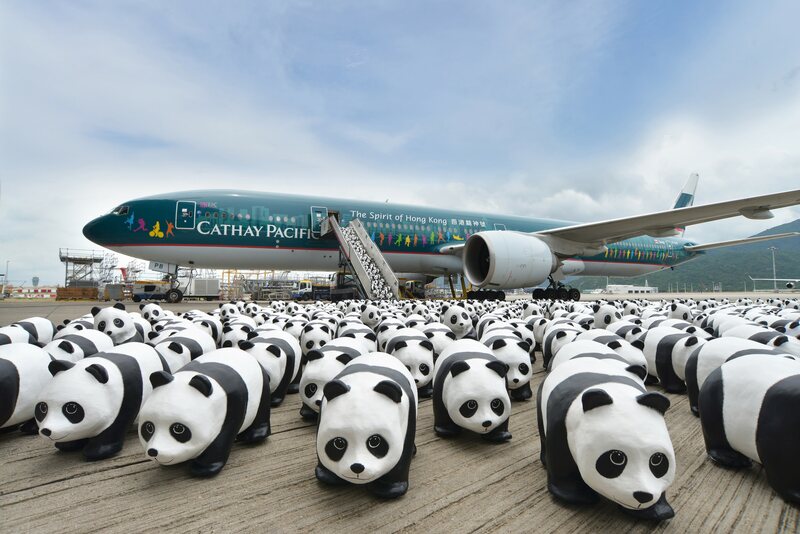 Cathay Pacific swapped passengers for pandas recently, when more than a thousand papier-mâché pandas filled up the economy cabin in one of their aircraft. 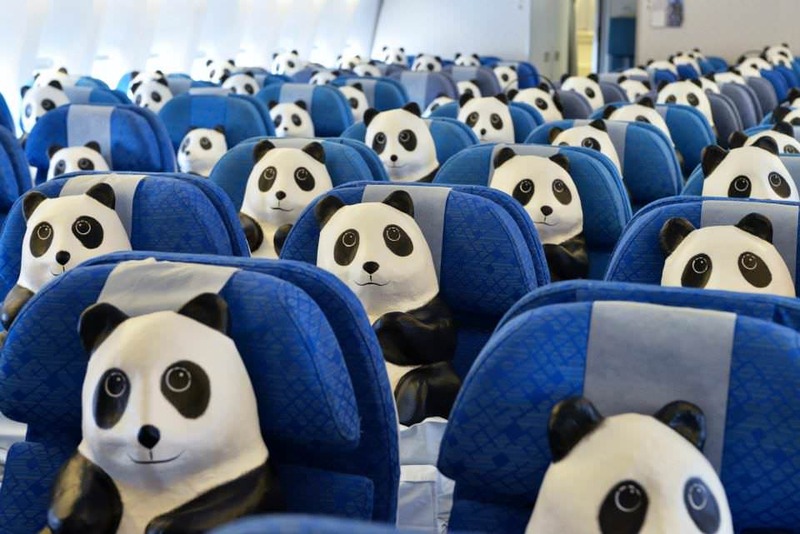 To promote conservation and sustainable development, French artist Paulo Grangeon used recycled materials to create the 1,600 pandas, which apparently is the number of pandas left on the planet. The pandas arrived in Hong Kong on a worldwide tour organised by PMQ for environmental conservation group WWF. The well travelled pandas have already visited France, the Netherlands, Italy, Switzerland, and Germany for some 100 exhibitions. To promote conservation and reinforce the importance of sustainable development in an imaginative setting, the public can get up close to the pandas at every stop. During their stay in Hong Kong, the pandas will visit more than ten landmarks, including Hong Kong International Airport and Ocean Park. The finale of “1600 Pandas World Tour in Hong Kong: Creativity Meets Conservation” will be at PMQ’s headquarters on 21 June. 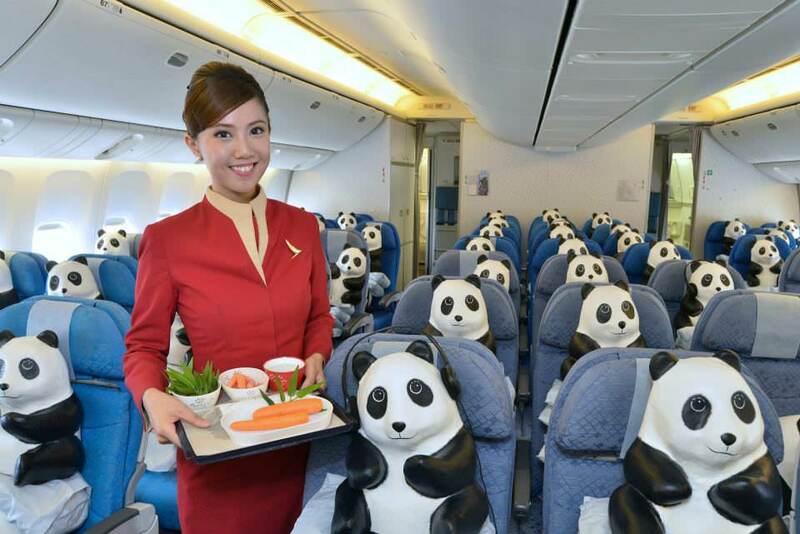 It’s a shame that the pandas were travelling in Economy Class, because those passengers travelling in Cathay Pacific’s First Class cabin can now enjoy the new bespoke caviar and Krug service. The caviar is served in a specially made glass caviar soccel and with a mother of pearl spoon. Cathay Pacific also recently introduced an amuse bouche service so First Class passengers are now welcomed with bite-sized fine fare presented in a frosted sake glass, literally a tasteful start for the flight ahead. Cathay Pacific offers First Class on flights between Hong Kong and Europe and North America including Paris, London, Frankfurt and New York. Award winning Cathay Pacific flies 74 times a week from Australia (Sydney, Melbourne, Adelaide, Perth, Cairns and Brisbane) direct to Hong Kong and onto more than 170 destinations around the world. Cathay Pacific and sister airline Dragonair fly over 720 flights a week to 25 destinations in China and Taiwan, including 12 daily flights toBeijing and 17 daily flights to Shanghai. Passengers travelling on Dragonair, Cathay Pacific’s sister airline, can enjoy Xin Dau Ji’s delicious chilled pork belly with garlic that uses Kurobuta pork. Other signature Hong Kong style dishes are available from popular Xin Dau Ji restaurant, which was awarded a Michelin star in 2012 and has nine branches in Hong Kong and China. Other dishes passengers can look forward to include pan-fried minced pork and lotus root cake plus the chef-recommended deep fried fish fillet with sweet corn sauce. 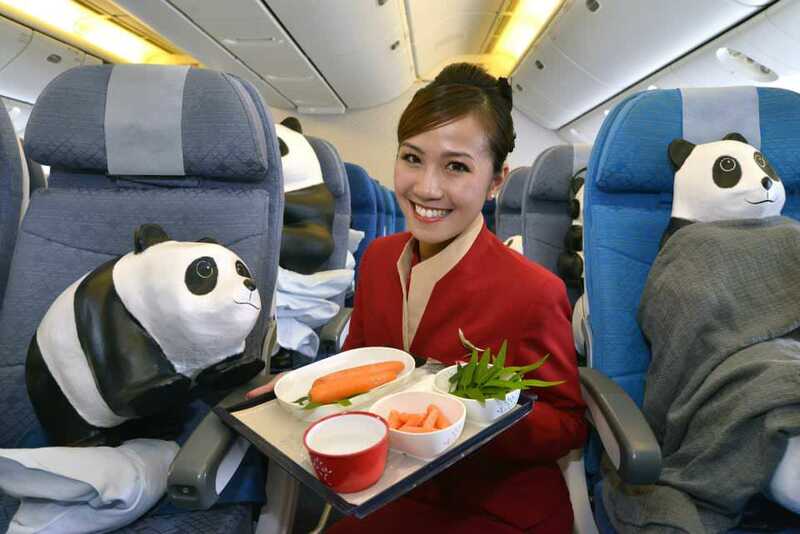 The new menu will be available until mid-April 2015 to passengers in all classes on selected Dragonair flights from Hong Kong to Beijing and Shanghai plus First and Business Class to Taipei and Kaohsiung as well as Business Class to Chengdu, Hang-zhou, Kunming, Nanjing, Ningbo, Qingdao and Fukuoka. Passengers will forget they are eating on a plane. You are currently browsing the SANDRATBLOG.COM blog archives for June, 2014.